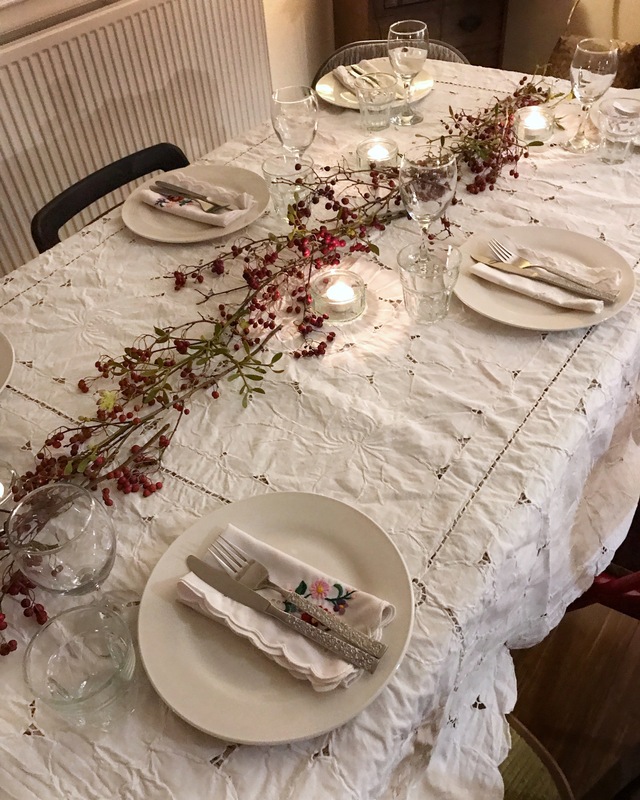 On 24 November 2018 I sat with a group of like-minded food adventurers at Corinne’s communal table and experienced a taste of Réunion. 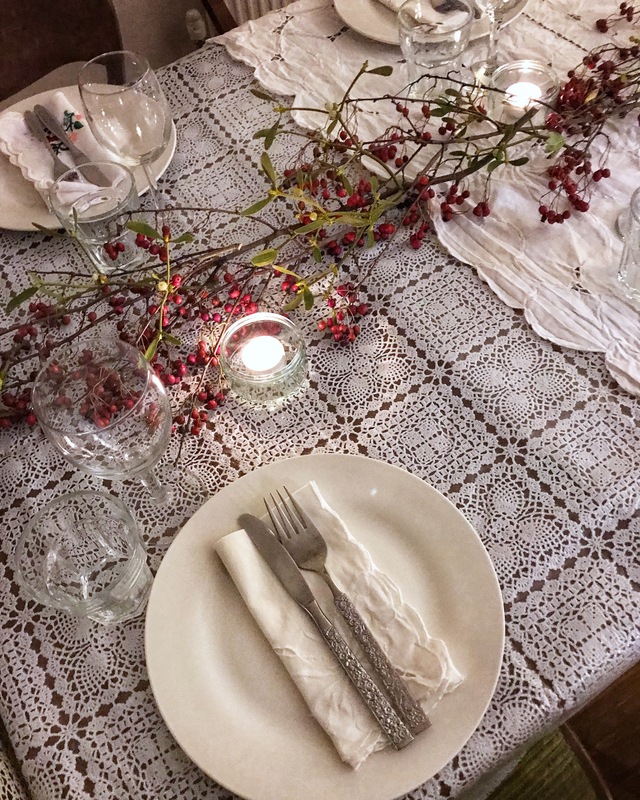 The table was laid out with glowing candles over white lace and embroidered tablecloths, as well as branches, berries and mistletoe from Corinne’s hawthorn tree in her garden. A simple and beautiful setting. The event was BYO but we were welcomed with a rhum arrangé, a drink made with rum from Réunion flavoured with lychee and mixed with grapefruit juice. This fragrant cocktail formed part of the Apéritif créole where moreish nibbles were served. 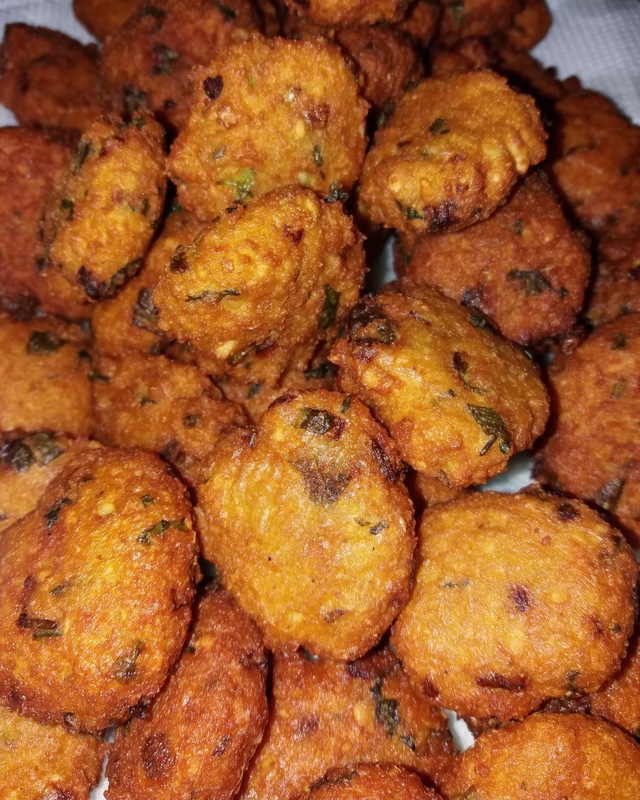 The bonbons piments, similar to falafel, were made with a mix of raw cannellini beans flavoured with spring onions, green chillies, cumin, turmeric and fresh coriander. 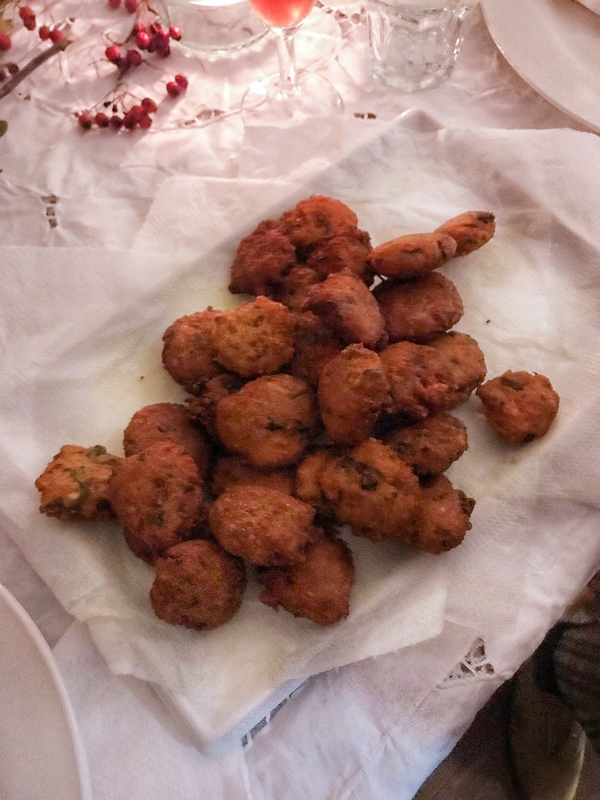 The beignets de chouchou, fritters made with an edible plant belonging to the gourd family – also known as chayote, chow chow or mirliton squash – were seasoned with spring onions and massalé spice. Brown food isn’t pretty but it’s the most delicious! All this sipping and nibbling gave us the opportunity to mingle with the other guests. 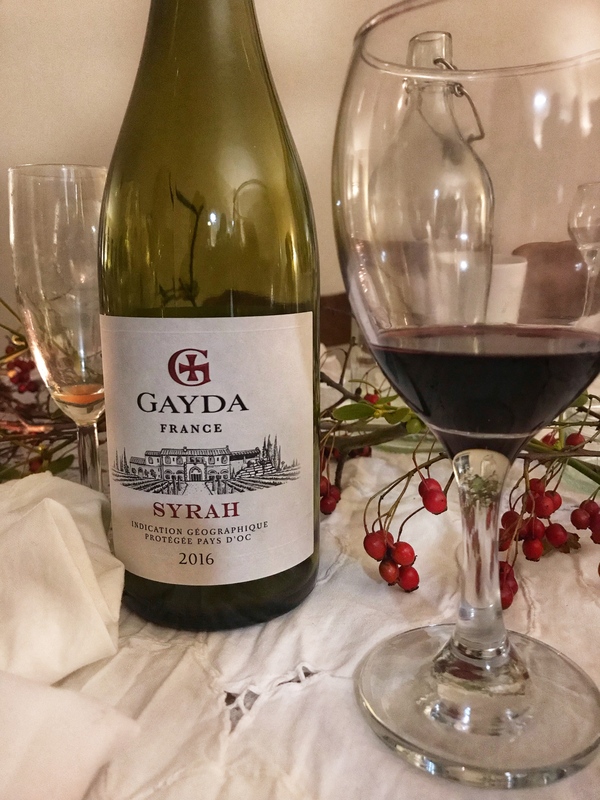 We then took our places at the table and enjoyed the starters – samossas and bouchons, both part of Réunion’s vibrant street food tradition, originating in India and China. Corinne told us that her childhood memories include going to the beach and stopping at a shack for a couple of bouchons and samossas. 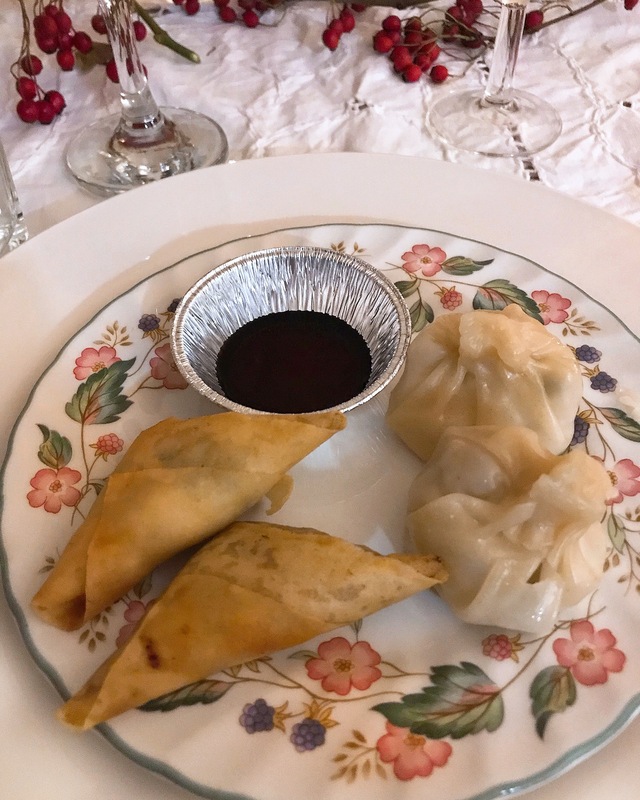 The bouchons (dumplings) were filled with mince pork and spiced up with kaffir lime, spring onions and garlic. They were served with soya sauce for dipping. I felt bad for gobbling them up so quickly as I know they took hours of work, but my happy taste buds prevailed. 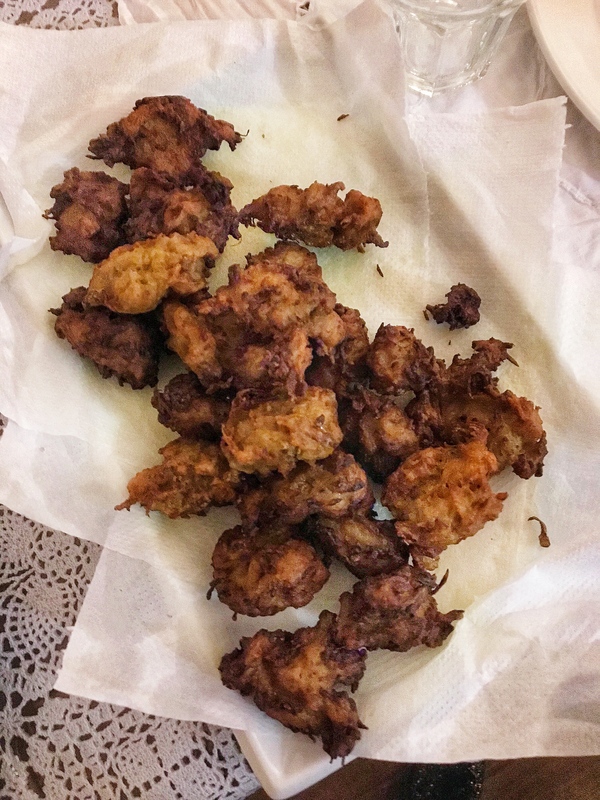 The two samossas had different fillings – one with prawns, lime and spring onions and the other with a mix of cari poulet massalé (chicken slowly cooked in a masala spice mix). Both samosas were light, crispy and full of flavour. The main course featured turkey but not as we know it! 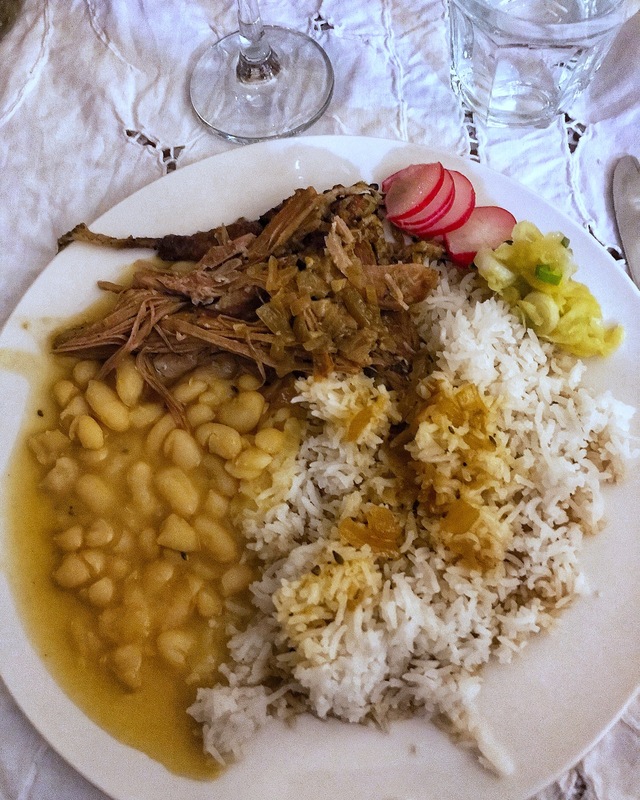 A cari is a must in Réunion and Corinne used turkey in hers. The cari dinde (Creole turkey slow cooked in turmeric and flavoured with thyme, garlic, rock salt and black pepper) tickled my taste buds and melted in my mouth. It was served with the requisite trinity of rice, beans and rougail. The cari de grains consisted of slow cooked, flavourful cannellini beans. The rice was plain, a perfect counterbalance to the spices. 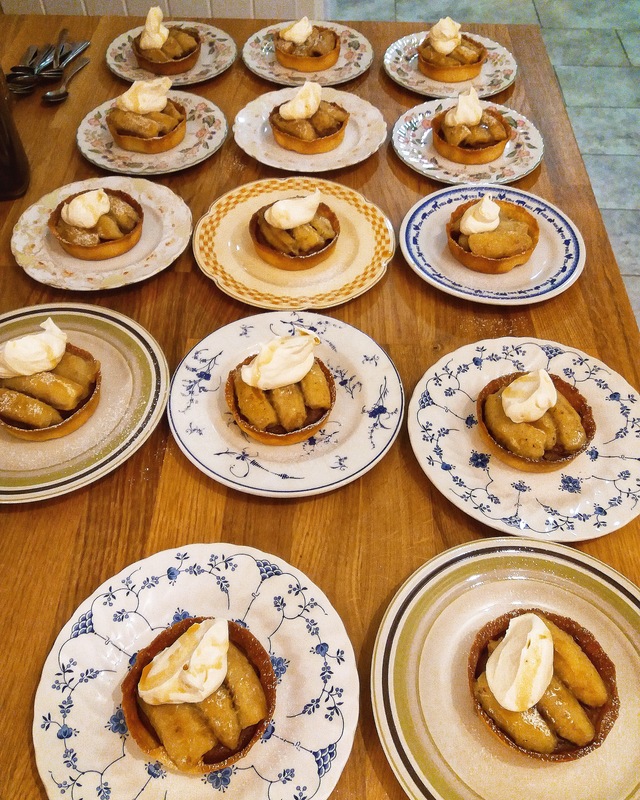 For those who wanted to add some zing and texture, two rougails were served – mango and radish. These condiments/sauces were both flavoured with spring onions, kaffir lime and chilli. 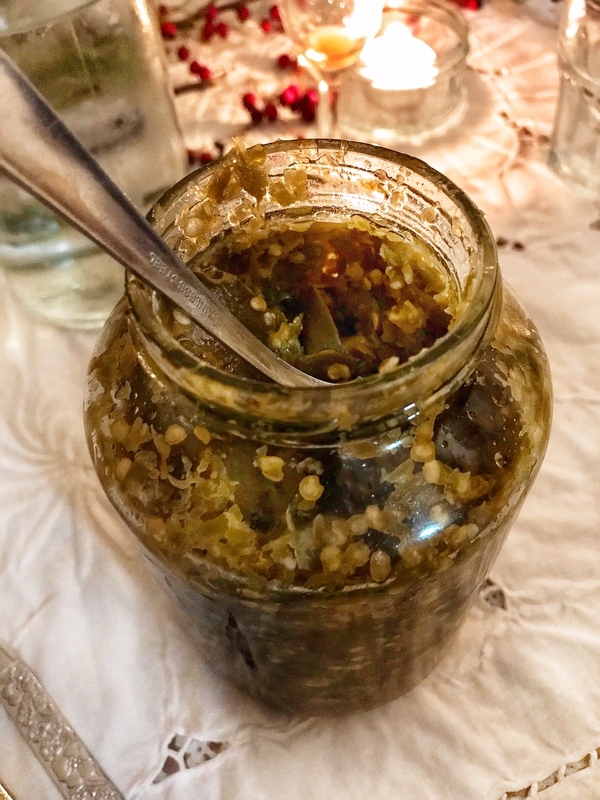 Also making its spicy way across the table was a jar of piment confit, a staple of Réunion cuisine. It was hot! 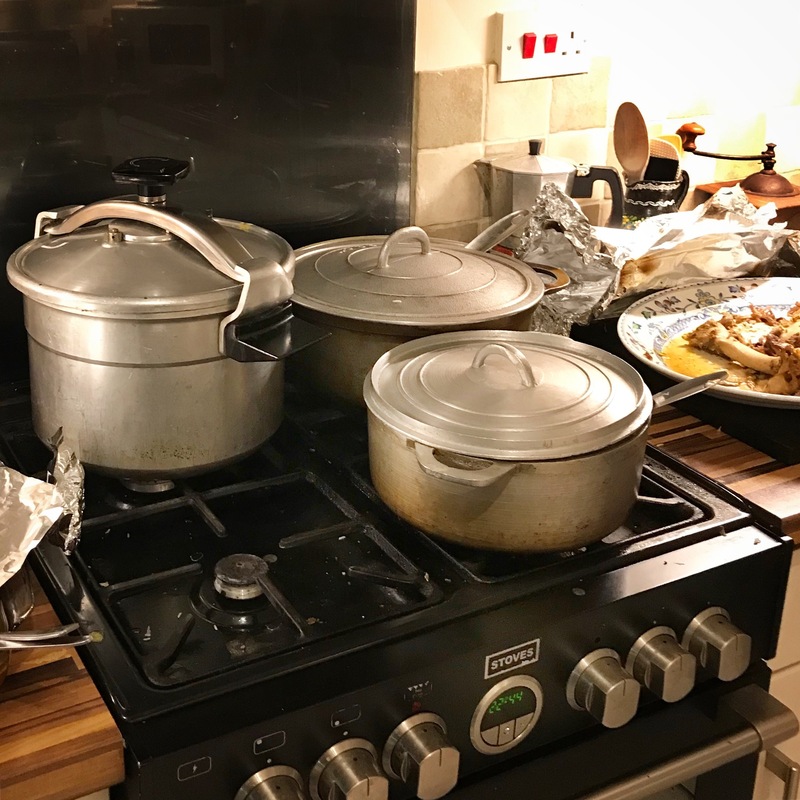 I had a peek at Corinne’s kitchen and spotted the impressive marmites (Dutch ovens) so essential to slow cooking those tasty caris. 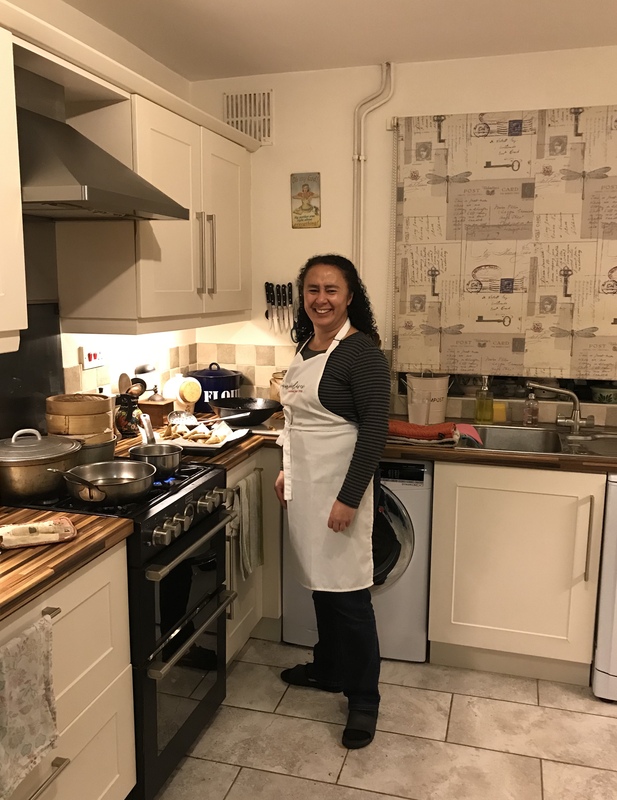 Corinne’s kitchen is also where she produces Gourmandises’ famous pastries and cakes for local delis and private orders. So of course I knew the dessert was going to be amazing. The tarte à la banane flambée et mousse au chocolat noir featured bananas flambéed in rum with a dark chocolate mousse in sweet shortcrust, served with cream and a drizzle of ginger sugar syrup. 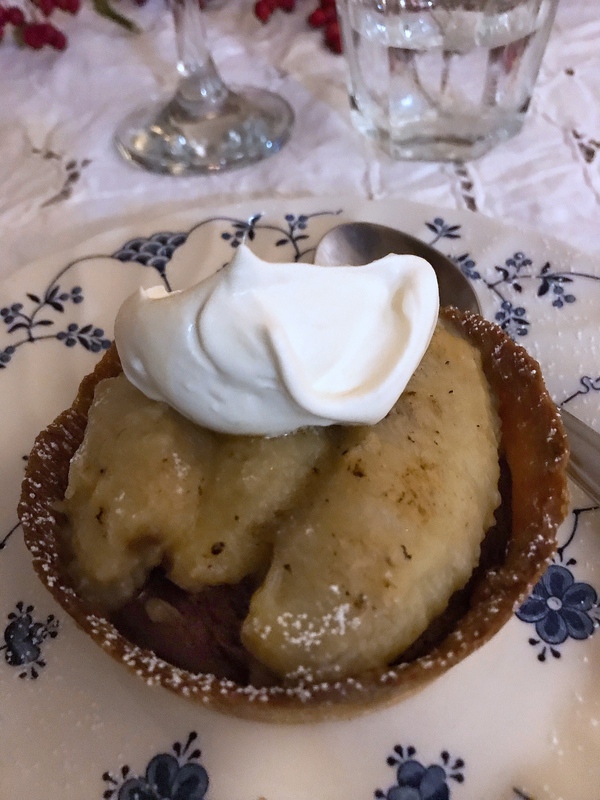 The meal ended with the choice of a café gourmand créole or tea and the most delightful miniardises – passion fruit macaron and petit gâteau coco, a coconut cake that Corinne’s maman used to make. This got Corinne into baking and the rest is history! 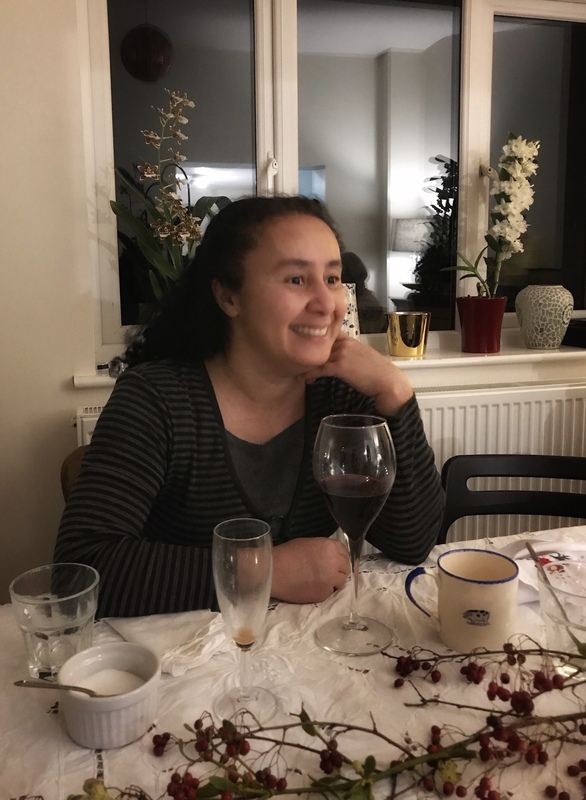 Corinne said the food of Réunion is simple and unfussy, but its flavours make it sing. 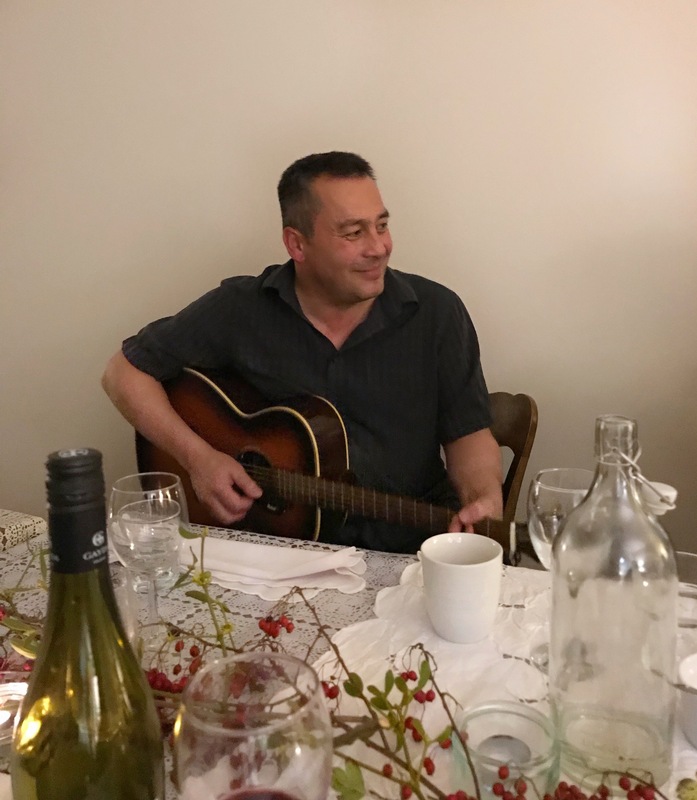 This was further complemented by some actual singing when, at the end of the evening, her husband Hideaki played the guitar and sang the blues. 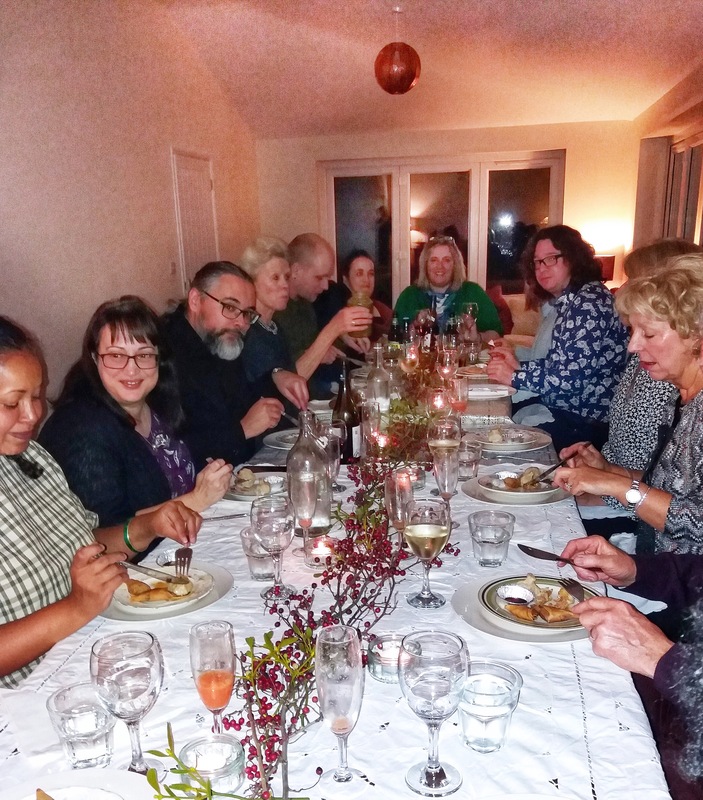 Le Bistrot Clandestin was a little piece of Réunion in the heart of Cambridgeshire. Corinne’s passion for her birthplace and its humble, vibrant cuisine was apparent. This wasn’t fine dining and hushed tones. The portions were hearty and so was the laughter. 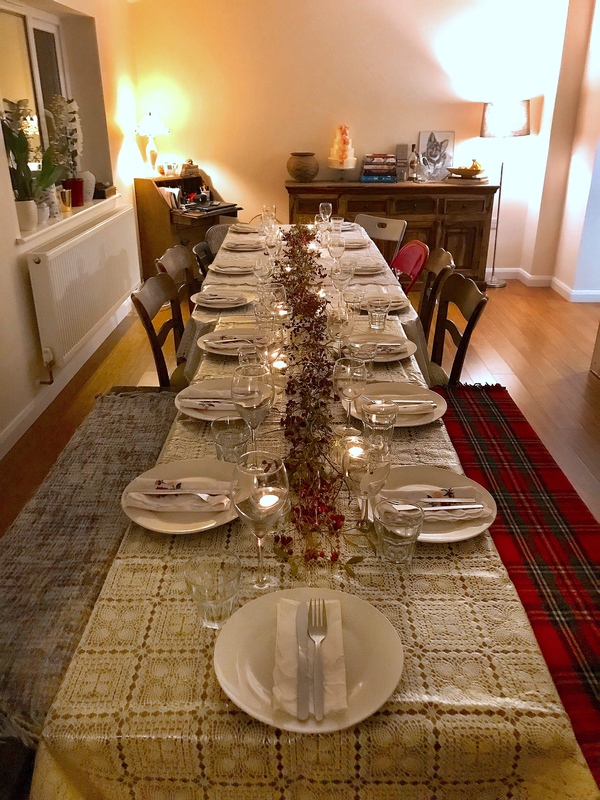 Corinne promised real food with soul to be enjoyed with gusto – and we certainly did. Gourmandises were unaware that my experience would be the basis of a written review. It is based on my experience at my own cost and I did not receive compensation for my review. 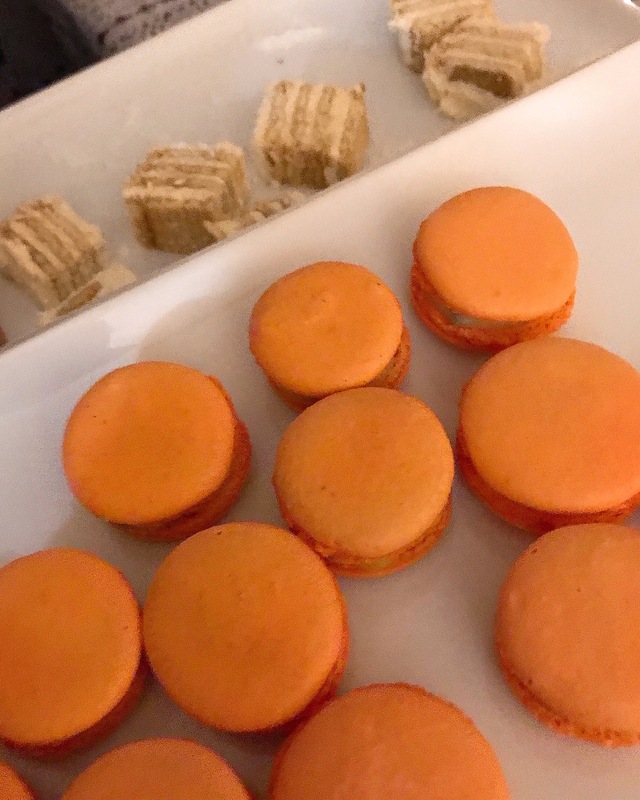 This entry was posted in Food Events and tagged aperitif creole, beignets de chouchou, bonbons piments, bouchons, cafe gourmand creole, Cambridge, Cambridgeshire, cari, cari de grains, cari dinde, Corinne Payet, Cottenham, Gourmandises, Gourmandises Academie, Le Bistrot Clandestin, piment confit, pop up, poulet massale, Reunion Island, rhum arrange, rougail, samossas, supper club, tarte a la banane flambee, The Food of Reunion by One Two Culinary Stew. Bookmark the permalink. It sounds delightful. I’ve heard of Réunion, but didn’t realise the extent of influences on its cuisine! So happy Corinne is able to share her delicious Reunionese cuisine here. I agree! The whole evening was lovely and for me, it was a treat to experience cuisine from Réunion for the first time. I am so glad Corinne is having another one in February.